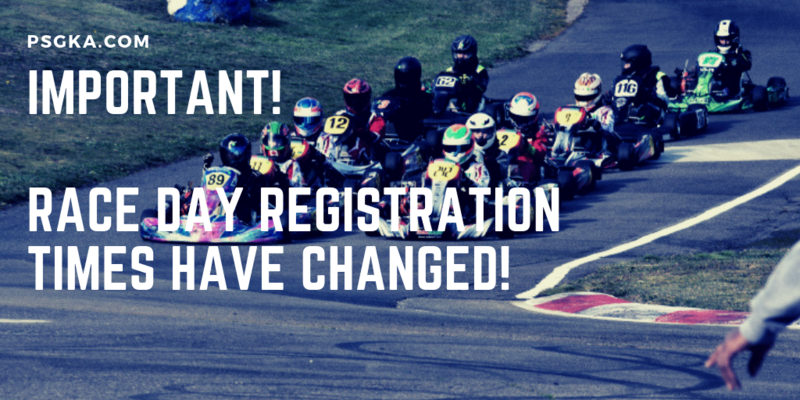 To accommodate the 8:45 AM drivers’ meeting, we will be changing on-site registration hours so that registration opens at 7:45 AM and closes at 8:45 AM. As required by PSGKA rules, all drivers must attend the drivers’ meeting at 8:45 AM. At the same time we will close the close the pit gates and clear the pit area of all drivers, crew, family, friends, fans, and vehicles. Only those with pit pass wristbands will be re-admitted. Pit passes will be available for sale at the snack shack for anyone who needs them.